One’s memories are the most valuable “items” one can collect, and, as time goes by, preserving them might become quite challenging, considering one’s age and memory. If you want to make sure you keep your memories intact and you’re on the lookout for the best film camera for beginners, you might find our choices to be of help. The market overflows with such products and finding the best beginner film camera available for sale might take time and lots of browsing. Check our film camera reviews to simplify that process. With features that will help you explore the art of photography without giving you headaches, this ultra-portable model from Fujifilm is the first option we think you might want to try when looking for cameras for beginners. Thanks to the new macro lens adapter, you can easily capture close-ups at only 17 inches away from the lens. Furthermore, the new selfie mirror featured allows you to preview self-portraits before you hit the capture button. Due to the High-Key Mode, the user can enjoy a soft look without a filter. Plus, the ideal brightness for your pictures is automatically detected. 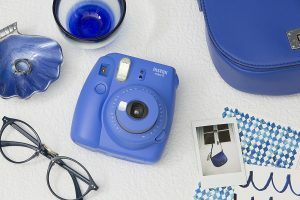 If you’re in need of a beginner camera that will be used mainly for parties and other fun gatherings, the Instax Wide model from Fujifilm is worth considering. This device will enable you to immortalize your memories at such events by providing you with the possibility to take wide format photos. The unit comes with a focal zoom dial and an automatic flash for low light shooting. Thanks to the close-up lens, you can easily take selfies. All the improved features this model boasts will get you vivid, high-quality photos that are two times wider than the ones you can take with the previous model reviewed. 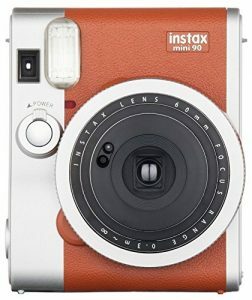 What you get with this Mini 90 camera from Fujifilm is high-quality photos and features that will help you capture the various moments of your life like a pro. The unit will automatically detect the brightness of your setting and adjust the shutter speed and flash to get you the best photo quality. 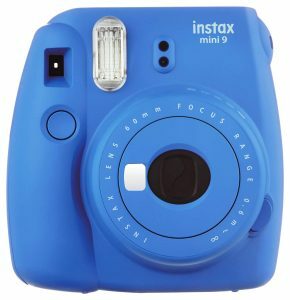 The advanced features it comes with such as the Double Exposure, Bulb, Kids, and Macro modes will provide users with an enhanced capability to capture their memories and light creatively. Furthermore, the stylish, retro camera boasts a premium build to keep up with extended use. Another option you might want to consider if you want to explore the beauty of a film camera experience is this model from Canon. The elegantly-designed lightweight camera boasts an ergonomic build so you can use it with ease. 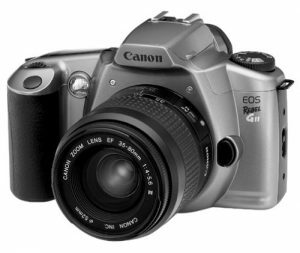 Equipped with both manual and automatic features, the EOS Rebel G II is committed to providing superior performance and easy operation. The unit sports a retractable built-in flash with red-eye reduction, settings for multiple exposures, a high-speed selectable 3-point autofocus system as well as creative effects. The various features and modes offered by this camera will help you start your photography experience flawlessly. 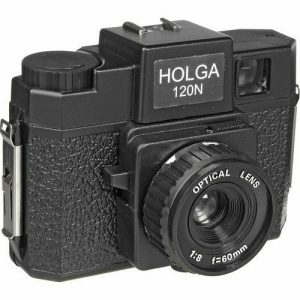 Designed after the original Holga camera yet boasting the improved usability that can be found in the latest generations, this model is another option you might want to consider when looking for cameras for teenagers and beginners. By giving you total control over the shutter, this unit will enable you to “draw” with light. Use a tripod and LED flashlight and you will create fascinating images. 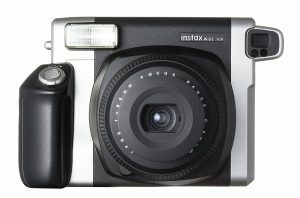 What’s more, this device makes use of a 120 format film, which means you will get to enjoy a greater sense of depth. Furthermore, you will also take photos at a better resolution when compared to a 35mm model. If capturing life’s special moments on camera is a hobby that becomes more and more important to you and you’re on the lookout for the best beginner film camera, here are some things you need to consider in order to make sure you get the right product for you. Before detailing the features that appreciated models have in common, you need to consider your skill level, where you want to get with that camera, and the budget you have at your disposal. What might be suitable for another person might prove to be inadequate for you. The market is generous in such products, therefore the use of filters when searching for a good beginner film camera is a step you need to take. To know what those filters should be about, we have highlighted below the features you need to pay attention to before hitting the order button. Besides them, if you’re on the lookout for a beginner camera for one of your friends or family members, you also need to take into account his/her preferences. When you’ve found the product that perfectly caters to your needs, you can check some reviews coming from people who actually tried it. This way, you may learn more about features that are overlooked in the product description. Since the variety of products on today’s market may intimidate you, we have selected the most important features and factors to consider when looking for a film camera to match your beginner level. Check them below to make a more informed decision. Yes, that’s the first thing to consider: the type of photos you will take and what you intend to shoot. The answer to these questions will decide the type of camera to go for. If you’re interested in using your camera for general types of pictures, nothing too niched, then a 35mm SLR or a “point and shoot” might be what you need. In case you’re more into portraits, you need to consider a medium and large format camera. For sports and street photography, a 35mm is again a great option. Film photography might seem more complicated than digital photography yet if you learn the basics and get the right camera, the little discomfort you may feel at first will soon vanish. Medium or large format? 35 mm perhaps? Since we’ve mentioned such specs above, we think we should tackle them a bit more for you to understand why some features are more appropriate than others. Each format has its advantages and disadvantages. The great advantage of the 35mm film format is that it is easy to use and develop and that’s a feature a beginner should look for. This is your first experience with a film camera and it should be as smooth and satisfying as possible. It’s true that 6×7 formats (medium format in 120) or larger are the ones advanced analog photographers go for but the keyword here is advanced. Such a format definitely comes with advantages that are worth any difficulty you might encounter at first. At the same time, it might be a bit tricky for a beginner or an amateur to handle such formats. Therefore, you might want to keep the 35mm in mind for your first film camera. Once you progress and get better at this, you can upgrade your gear. Point and shoot, Rangefinder, or SLR? Once you know the type of film format you want, you need to figure out the type of camera that is best for your needs. Many beginners and amateurs go for point and shoot cameras since they are ideal for almost all types of shooting and that’s because the photographer gets used to specific lenses and focal lengths and learns how to get the best of them. With an SLR, things are a bit more complicated because somehow it will get you where digital cameras do and make you want more flashes, lenses, and other accessories. You need to consider this matter seriously as the type of camera you get may require further investment. If you want to advance as a photographer and it’s not just an activity you will go for now and then, you might want to consider an SLR. Then, you also have the rangefinders. Even if they don’t get you the same experience as SLR cameras do, they do provide approximations and make it possible for you to view subjects move in and out of the frame lines. What’s great about rangefinders is that they usually boast a small, lightweight design that makes them quite comfortable to carry. You get to enjoy all that if you are willing to pay more, though, as such types of film cameras are rather expensive. Unlike digital cameras that might come with all sorts of modes and buttons (that do indeed enhance one’s experience in many ways), film cameras tend to come with basic features that will get you back to the beginning of photography and make your experience easy. This doesn’t mean that a film camera won’t get you stunning results. Once you master it, you might be amazed by what such a device can do. However, many photographers say that using film cameras might be easier in some ways than when using a digital camera. What you need to look at is the viewfinder, the body, the lens, the back of the camera, and the grips. Consider the quality of the materials used and try to go for a reputable manufacturer. Even if it is a beginner film camera, it doesn’t mean it should break or malfunction anytime soon. Again, consider the type of photography you’re interested in and you will have more answers regarding the design of the camera. The market offers mini models for ultra-portability and ease of use. Even if your budget only allows you to look for cheap film cameras, try to identify a camera that will provide you with a decent experience and that won’t require replacement in the near future.